The Trek Collective: Johnson and Orci on Star Trek ongoing. 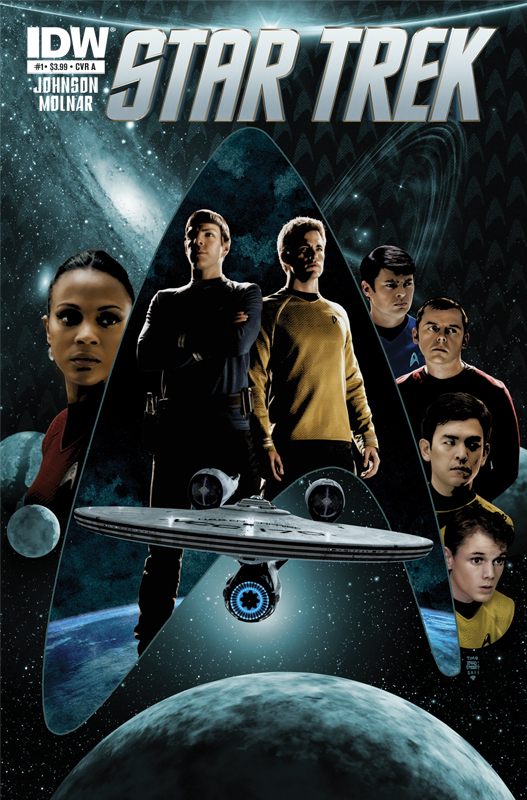 The first few issues of the series are adaptations of TOS episodes, as the “new” crew encounters some of the same threats the original crew did, but with differences that reflect things like Kirk being a younger captain and Spock losing his homeworld. As we get closer to the next movie, the stories will begin to foreshadow the events of the movie, such as possibly introducing new characters we will see onscreen... pun very much intended. Each episode will be told in two issues, so in issue #3 and #4 we will revisit the events of “The Galileo Seven.” I’m excited about this one because it’s a Spock-centric story that explores his brief experience as a commanding officer and how he was affected by losing command of the Enterprise to Kirk in the last movie. I can’t spoil which episodes come after that, but I can say that events will deviate more and more from the TOS versions as the new timeline evolves. Orci also gave a little update on the progress of the next film, and Johnson revealed he is also involved in the new timeline computer game coming out next year.